Home » Retirement Planning » What Is A Gold IRA Rollover? A Gold IRA is an Individual Retirement Account that allows investors to hold hard, physical assets in their retirement portfolios. Typically, both traditional and Roth IRAs can hold only cash, bonds, and stock. The Taxpayer Relief Act of 1997 broadened the types of investments allowed in individual retirement accounts to include certain types of precious metals. These IRAs are called “self-directed” or “alternative-asset” IRAs. Not all precious metals are allowed. Usually, they are limited to gold, silver, platinum, and palladium. Tax law also specifies the purity standards for each metal. For example, the American Gold Eagle coin is an approved gold asset. Investors became more interested in gold IRAs After the financial crisis in 2008, which brought about a recession. In October of 2007, the stock market hit its pre-recession high, then by March of 2009, the market lost 50 percent of its value, and investors’ retirement portfolios reflected this significant drop in value. Gold prices move in the opposite direction of stock prices, so gold IRAs became a reasonable hedge against inflation. These IRAs are useful for portfolio diversification and for anyone who is concerned with economic and world news that might cause another stock market drop. If you have a retirement plan such as a 401(k) or 403(b) through your employer and you leave to take another job, you can roll the money you have in your current retirement account or IRA over into another IRA. The same rules apply if another IRA offers better investment opportunities than the one you have. You must follow certain rules and regulations. The same is true for a gold IRA, but there are even stricter regulations to follow. The IRS stipulates three ways to complete a rollover. Direct Rollover: You can ask your retirement plan administrator to issue a check directly to the retirement plan or IRA to which you wish your money rolled over. Using this method assures that there will be no taxes withheld from your rollover. Trustee-to-Trustee Rollover: If you are rolling over your IRA, the trustee of the IRA can facilitate the rollover to the trustee of the other IRA. There are no taxes withheld using this method. 60-Day Rollover: A check can be issued directly to you for the amount of your rollover. If you invest it in another IRA or retirement plan within 60 days, no taxes will be withheld. Some investors choose to roll part of their retirement savings into a gold IRA rather than all their savings. In this case, a portion of the retirement savings will be subject to the special rules concerning a gold IRA rollover. How Are Gold IRA Rollovers Different? Gold IRAs can either be traditional or Roth IRAs. 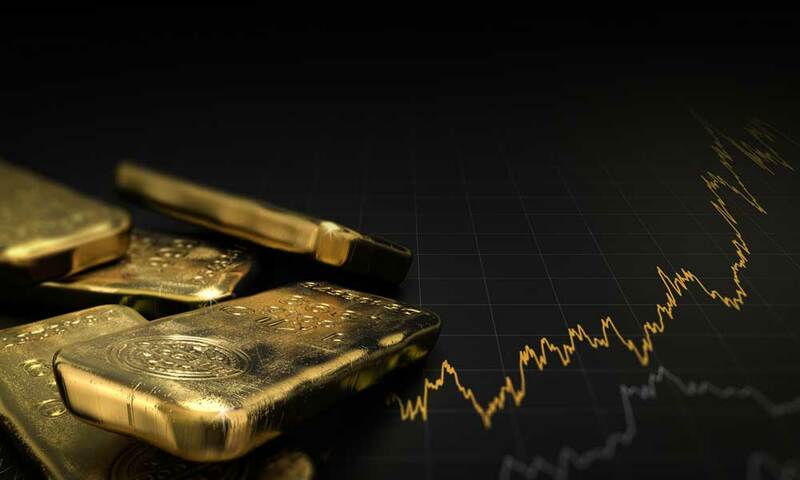 The first thing that a potential investor must decide is whether they want to invest in the actual physical gold or in gold company stock, a gold mutual fund, or an exchange-traded gold fund. If the investor decides to invest in the actual gold, it must be gold coins or bullion that meets the standards of the IRS regarding purity. The gold must be held by a custodian that is IRS-approved and should not be held in any type of home storage. Rolling over retirement funds to a gold IRA is more complicated and expensive. You have to establish a self-directed IRA which allows you to invest in a wider range of assets. Then, you need to choose a custodian to create and administer your self-directed account. It is usually a bank, but it can be other types of financial institutions such as credit unions, brokerage firms, or trust companies. The custodian you choose must have the facilities to store the physical gold for you and it should have been approved by federal and state agencies to provide asset custody services. Qualifications: The broker should have all the appropriate licenses, bonds, and insurance to protect your investment. Reputation: The broker should have an excellent reputation based on the word of previous clients and organizations like the Better Business Bureau. You might want to look at consumer reviews or number of complaints filed. Responsiveness: The broker should be responsive to your needs as an investor. They should be well-versed in the tax law regarding IRAs and Gold IRAs and be willing to work with you to be sure you are meeting the requirements. After the physical gold is purchased, the new Gold IRA can be funded and stored for the investor with the custodian. Rolling over your investments into a Gold IRA is a popular option for people looking to avoid the uncertainty of the stock market. If you’re unsure about where to start, read our guide on the best Gold IRA companies to help you get started in your decision-making process. Are Precious Metal Rollovers Safe? What is a Self-Directed IRA? How Do I Open An IRA?